Battery tester system from Launch UK. 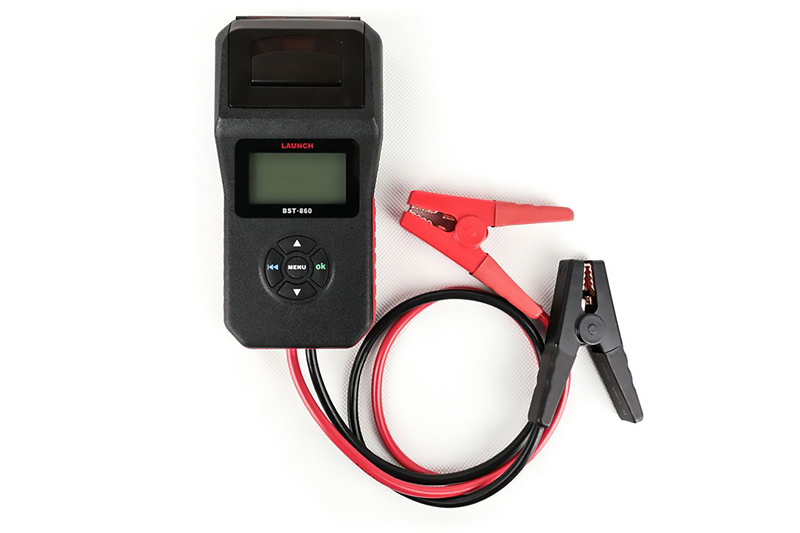 A new BST-860 battery tester system is now available, courtesy of Launch UK, offering a complete testing solution for technicians. The BST-860 is suitable for testing 6, 12 and 24V batteries, as well as the Stop/Start battery and other related electrical systems, and comes with an integrated thermal printer, so that users can hand the testing report to customers. With an in-built calibration system, the device is suitable for a variety of vehicle types, including passenger cars, motorcycles and commercial vehicles. With a large LCD screen, which includes a backlight and user-friendly interface, the BST-860 features an industrial case design with ABS acid-proof plastic.